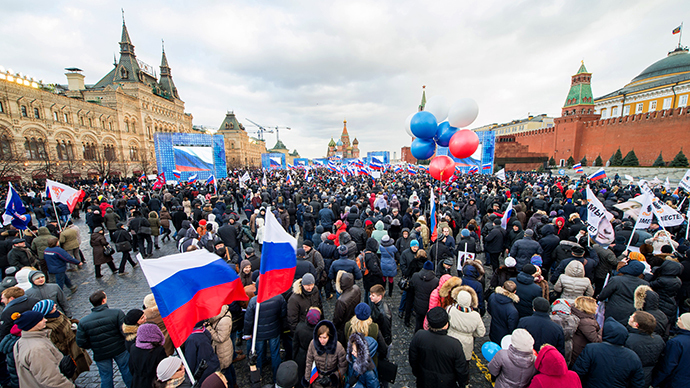 Russia’s State Duma has passed a set of amendments ordering up to five years behind bars for repeated violations at rallies and marches, and making it obligatory for reporters to display an ID when attending such events. The bill was drafted in April this year by the conservative United Russia and center-left Fair Russia caucuses. The authors of the document claimed that the majority of trouble makers in Russia were repeated violators and proved their point with the Interior Ministry’s statistics. They indicate that, of 36 people who were detained for illegal protest in the Moscow city center on February 6 this year, 21 had been previously been found guilty of administrative offense. Two of these people had each violated the law on rallies 16 times. “Multiple violations of the law over a short period of time demonstrate that offenders are not afraid of the current punishment. This is why we decided to tighten the responsibility for repeated violations of mass events rules,” the sponsors of the bill have said. According to the bill the repeated violation of public order at a rally must be punished with a fine of up to 1 million rubles (about US$29,000), up to 480 hours of correctional labor or even up to five years in prison. 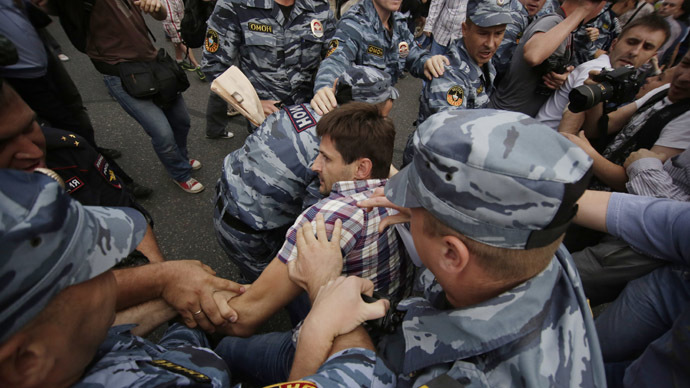 Refusal to comply with law enforcers’ rightful demands at a rally carries up to 100,000 rubles ($2,900) in fines or up to 30 days of administrative arrest. 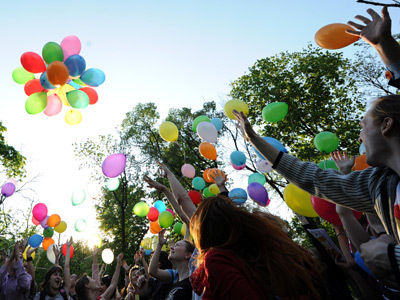 Disrupting the city traffic or social infrastructure will cause the official organizers of the rally up to 500,000 rubles. The new rules also allow the police to preventively cordon off city areas over fears of riots. Currently law enforcers can only do so to stop the already developing violence. The existing law that bans to bring weapons and explosives to a sanctioned rally is enlarged with bans on any poisonous, flammable or foul-smelling substances, fireworks and flares. The new bill also orders reporters who come to the events in order to cover them to carry a document confirming their identity and status of a journalist. They must also wear a clearly visible sign identifying them as press. 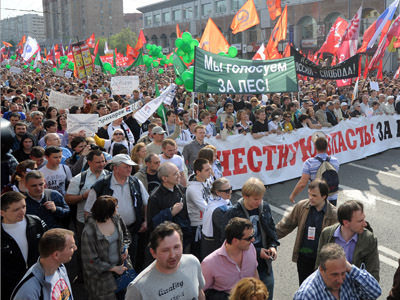 The freshly-passed draft continues the line started in mid-2012 when the Russian authorities for the first time introduced the tougher law on rallies, raising the maximum fine for ordinary citizens found guilty of participating in illegal protest from about $70 to about $9,000. 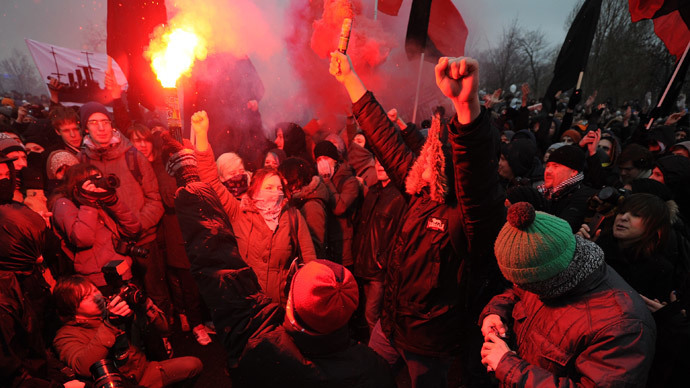 A different law offered some simplification in the process ordering to make special places, dubbed ‘Hyde Parks’ in major Russian cities where rallies could be held without a license, but only with prior notification.